The famous mezzo Daniela Barcellona returns to Bilbao ABAO-OLBE season to play his acclaimed role in Arsace Semiramide, the last serious opera Rossini. 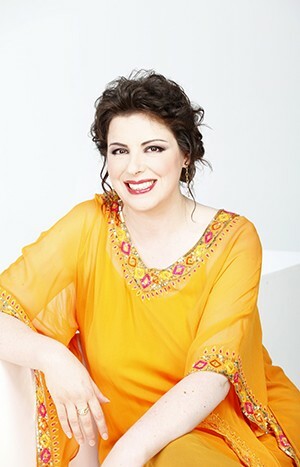 Daniela Barcellona, leading singer in Rossini list stars that has received praise from international critics for its multiple interpretations of the Assyrian army commander, It was awarded in 2018 Arsace for her performance at the Royal Opera House with the prestigious "Olivier Award". Recently, He has recorded Semiramide in his fourth collaboration with the famous British label "Opera Rara", recording has been honored by the International Classical Music Awards 2019 (ICMA) opera as best album of the year. further, It is nominated for this album to BBC Music Magazine Awards 2019, el Prize of the German Record Critics 2019, and Opera Awards 2019, in which also it has a nomination for "Best Female Singer". Daniela Barcellona arrives at the Euskalduna Palace in Bilbao following his recent tour in Tokyo with maestro Riccardo Muti and the Chicago Symphony Orchestra, playing the "Requiem" by Verdi, and before his performance in April at the Teatro Real in Madrid as Mistress Quickly in Falstaff in Verdi. The following days 16, 19, 22, Y 25 February, Trieste singer will participate in the revival of production Semiramide with the mythical direction de Luca Ronconi, under the musical direction of Alessandro Vitiello. He cast It will also feature the voices of Silvia Dalla Benetta and Simon Orfila, among other singers. Daniela Barcellona has collaborated with leading conductors such as Claudio Abbado, Riccardo Muti, James Levine, Riccardo Chailly, Gianluigi Gelmetti, Sir Colin Davis, M. Rostropovich, Myun-Whun Chung, Georges Prêtre, Carlo Rizzi, Alberto Zedda, Gianandrea Noseda, Roberto Abbado, Fabio Biondi, Antonio Pappano, Michele Mariotti, Kent Nagano, Bruno Campanella, Valery Gergiev, Lorin Maazel and Daniel Barenboim, among others, and with renowned stage directors such as David McVicar, Robert Carsen, Luca Ronconi, Pier Luigi Pizzi, Hugo de Ana, Mario Martone, David Alden, Damiano Michieletto, y Yannis Kokkos. Its immediate commitments include Falstaff Verdi at the Teatro Real in Madrid, in a new production by Laurent Pelly, Cavalleria Rusticana Teatro Regio in Turin, and a recital of bel canto at the Arts Center Melbourne.